Practicing Yoga is the need of the hour. Yoga is an Ancient Indian Wisdom. It helps us to be Healthy, Wealthy & Wise. 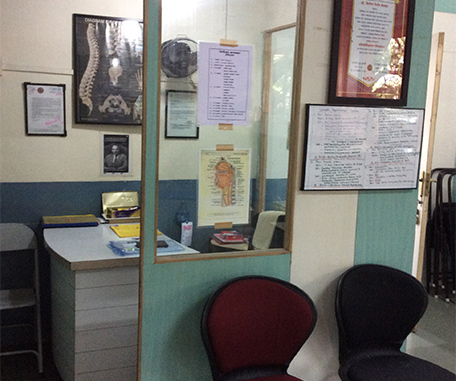 Unnati Yogatherapy & Training Institute was established in 2006, July under able guidance of Padmashree Dr. Sharad Hardikar, Eminent Orthopaedic Surgeon, of Pune. 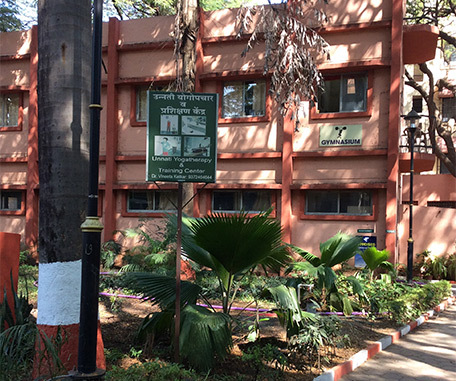 It is the Yoga Institute in Pune, run by practicing Doctors. Since then this center is engaged in Clinical and Eductional activities. Ashtangyoga forms the mainstay, which is applied as, Fitness Yoga, Pranayam Yoga Office Yoga. 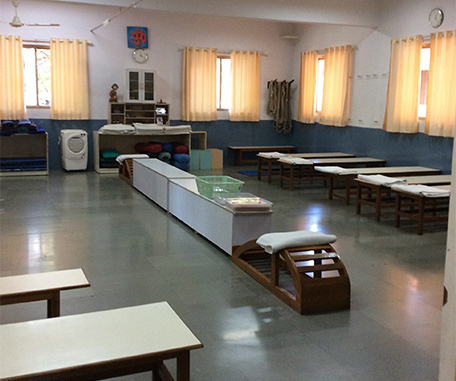 This center is famous for Medical Yoga in Pune. Unnati Yogatherapy & Training Center was formally inaugurated in the hands of Dr. S. V. Karandikar (Founder Kabir Baug Center, Pune), On 1st July 2006. Yogacharya BKS Iyaengar Guruji blessed us, for our Medical Yogatherapy Course. The institute is equipped with well ventilated big hall surrounded by big rain trees. It offers comfortable, fresh, compassionate atmosphere, conductive for healing. Our Yogateachers take a detail history of an individual to design a tailormade Yogic sequence for his/her health promotion. This takes care of their temperament, mind-body status. Our Yogatherapist fill a medical history card with details of history & investigations with a mention of diagnosis of the case. Yogatherapy Schedule is then decided for pattern & duration. 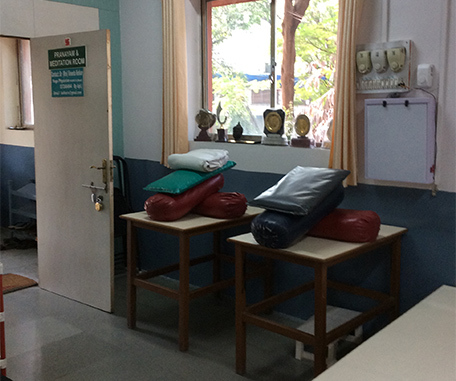 Each medical case is examined and interrogated by attending doctor to finalize the Yogatherapy. Periodic assessment of each case is meticulously followed. Our Institute offers two educational courses, which are very unique as both offer profound medical knowlegde. Basic course is based on Ashtang & Hath Yoga. Advance course includes Rope & Belt Therapy. Our Yoga Institute is run by trained & experienced Yoga Teachers & Yogatherapists. It has a support of Yogaphysicians trained at our institute.